StarHaven Services and the Gardens of Avalon Pagan Activist Site have now seen over ten years of continuous service on the web, following a prior seven years on FidoNet as The Gardens of Avalon BBS, with very pleasing results! Thank you, everyone, for your participation. Enter and be welcome. 1. Added my ImpeachSpace Link. Avalon is as much political and economic as religious in its activism. Follow these links to the National Libertarian Party to see what we believe and why. 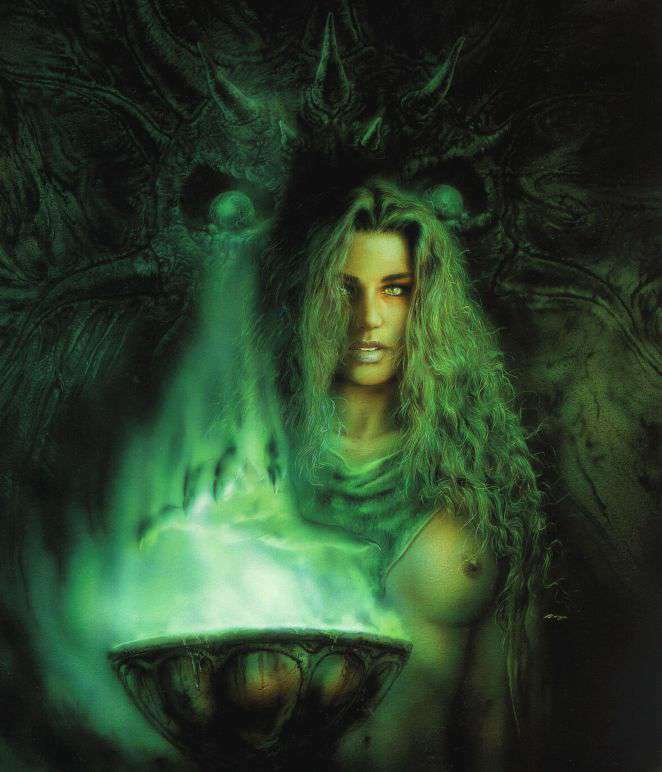 In association with PODSNET, the Pagan/Occult Distribution System, The Gardens of Avalon began on Lammas, 1992 as a Fidostyle Technology Network (FTN) BBS serving the pagan spiritual community in San Antonio, Texas. The Gardens of Avalon III web site is neither a teaching, tradition sharing, nor a "how-to" service. Rather, it is a communications medium offered to link information services together with technology to provide a comprehensive contact and reference point for the pagan and alternative communities, particularly those in need of assistance in rooting out, exposing and challenging institutional prejudice against them and their ways of living. Avalon's mission includes a patently activist role to keep open lines of communication between pagans and alternative cultures in a time when changing legislation could reduce or curtail the liberties of free speech and religion, as is occurring in many countries even now. Please see our "Northern Watchtower" page for examples of our continuing efforts to expose and fight discrimination, supression and denigration of our ways through the uses of law, fiat, economic pressure, and even the sheer weight of numbers. If you become aware of a site or situation warranting mention here, please let us know, and we'll get out the word. While we know that not all pagans are alike, we like to share whatever we have in common, and to revel in the differences. Therefore, we also provide contact links to our visitors so to educate, entertain, and connect our ever growing community. Please visit the "Watchtower" pages to see some of these outstanding links. We hope you'll visit often, bring your friends, and suggest improvements to the site. Once called the Cyber Pagan's First Home and Safe Haven, The Pagan/Occult Distribution System was founded in 1990 as an FTN distribution system dedicated to the widespread distribution of pagan and pagan friendly spiritual and practical information. It was a springboard for many of the fine pagan pages you now see on the web. Recently though, this once vital and active network has passed into the mysts. Please take a moment to reflect on its bright history, and dare to hope for the chance of its revival in another form, another time. The Gardens of Avalon III takes pride in its association with several choice pagan and alternatives websites around the world. For your learning, sharing or reading pleasure, please visit our "Eastern Watchtower" page, and be welcome to visit any of the listed sites. They welcome your interest and your patronage. If you're tired of the rhetoric, the scandals, the lies, the fear, the deaths of thousands, and of EVERYONE being left behind, then we invite you to visit the links below, and help us do something about it! Let us know what you think of our page! Avalon III's named pages include a wealth of information, contacts and services for your visiting pleasure. Please feel welcome to examine them all, pick and chooose your favorites, and play in The Gardens to your heart's content. If we can do more for you, don't hesitate to write and ask. Discover us, our ways, and what we ask of our visitors. See our Site Awards at the bottom of this page. See what PODSNET people have done on the web! See intitutional prejudice against pagans at its worst.